Stunningly luxurious, the Square Halo Diamond Ring in white gold will definitely add sparkle to your marriage proposal. A total of twenty-eight round cut diamonds are pave set on a classic white-gold band. 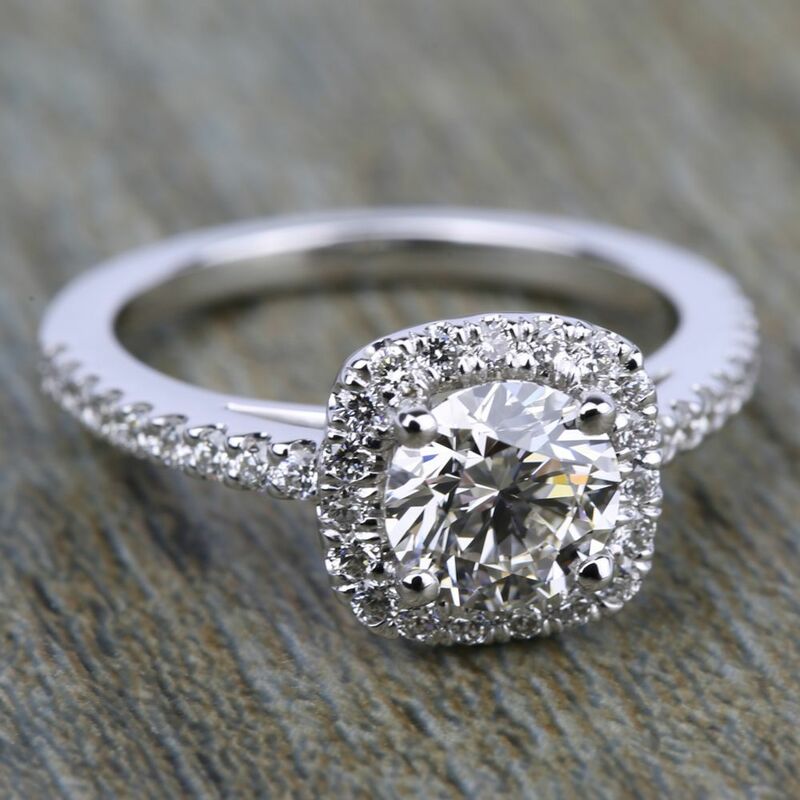 The diamonds weigh approximately half a carat, and highlight your preferred custom-set center diamond. Gorgeous at any angle, it is the perfect ring to mark the beginning of your and your beloved’s scintillating journey together.